Benefits of Lemon, the small little yellow fruit, used in almost every kitchen one way or other, are many in number. Let's learn what they are. In Ayurveda, lemon is an important medicine. We all know lemon is useful in kitchen for various recipes, salads, baking etc. But there are several other benefits too. Lemon juice is given to prevent common cold. Lemon juice is helpful to prevent and treat urinary tract infection and gonorrhoea. Lemon juice relieves colon pain and gastric problems. Suffering with dandruff? Apply Lemon juice on your hair and scalp and then wash off, after some time. As a home remedy for asthma, a table spoon of thick lemon syrup taken daily is helpful. Is constipation your problem? Take lemon juice n warm water early in the morning, continuously for few days. Do you know Lemon lowers blood pressure and increases the levels of HDL (good cholesterol)? Lemon juice with a pinch of salt every morning lowers cholesterol levels and brings down weight. When you get throat infection, first try with gargling with lemon juice, mixed with water. Lemon juice is also helpful to clear the digestive system and purify liver as well. Even in obesity, lemon is useful. Mix lime juice n 2 spoons of honey in lukewarm water and have daily in early morning on empty stomach. When thirsty drink lime juice. Adding one full lemon juice to 15 litres of water and then drinking it as and when needed throughout the day. It cleans intestines from all leftovers and keeps stomach healthy. This wonder fruit is used for many cosmetic purposes too. Lemon water drinking helps prevent kidney stones. Lemon water detoxifies your body and skin. Suffering with acne? 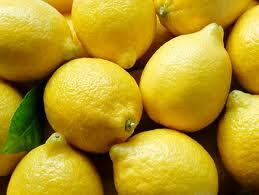 Try applying lemon juice on your face and then wash off after some time. Try for few days. Blackheads are another problem for a beautiful face. Try applying lemon juice regularly for few days. Want to get beautiful nails? Try rubbing lemon slices on the nails regularly for few days. Ashamed of bad breath? Just swirl lemon juice in the mouth for some time and spit it out. Looking to increase the glow of your face? Try applying lemon juice on the face for few days. It also helps in removing wrinkles. Check this Ayurvedic anti-aging medicine.